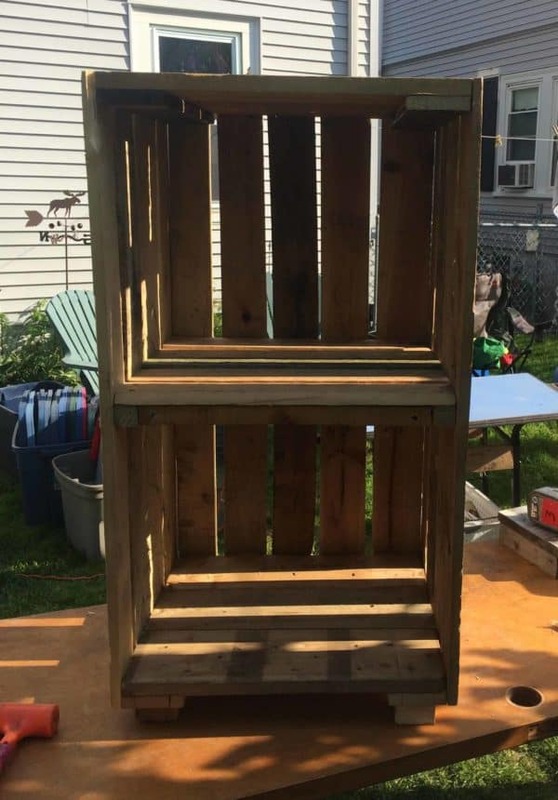 I made this workshop pallet shelving unit using an oversized pallet measuring 3" x 8". 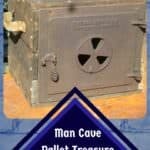 This project is perfect for my basement craft room and holds lots of flat storage boxes. Organize your home and save money for your projects! 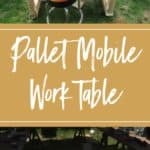 Build a Workshop Pallet Shelving Unit! The dimensions of this project are 36" tall x 17.5" deep x 20" wide. 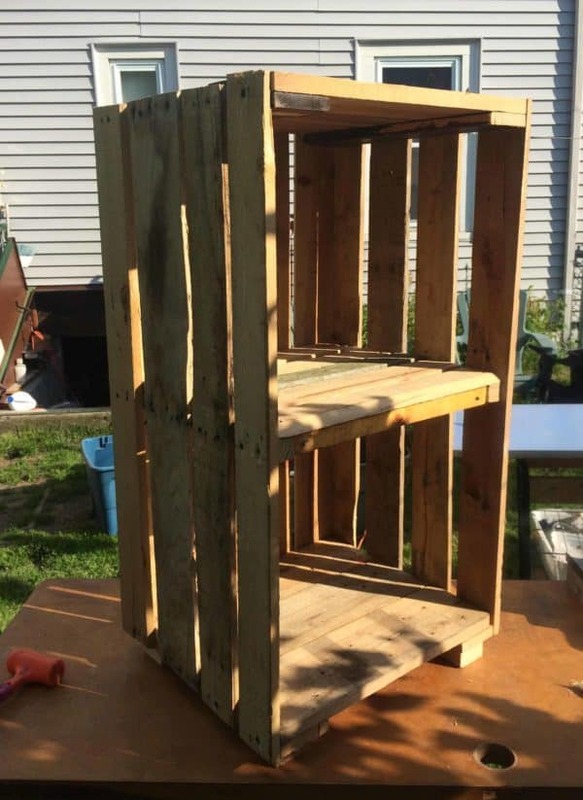 The top and base were from scraps from other projects. The center shelf floats. 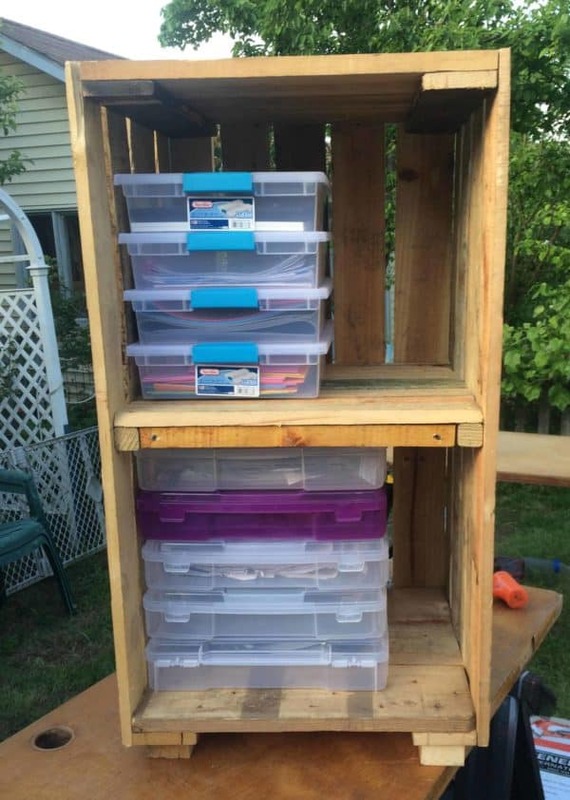 As you can see, this idea fits many sizes of storage containers and is sturdy enough for lots of organizing! 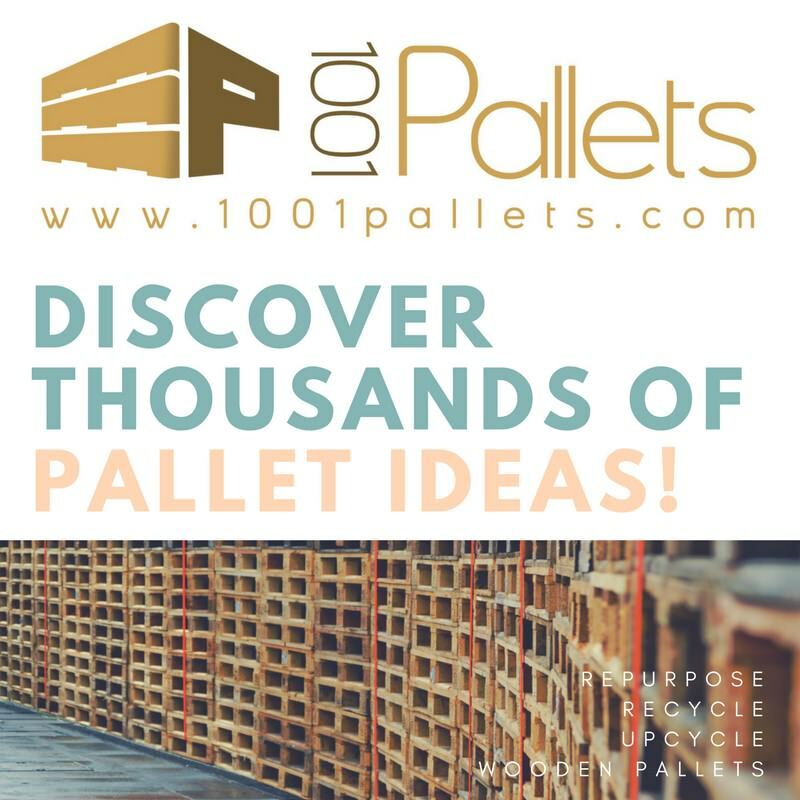 I created a simple design for fast assembly, and oversized pallets made the project easy to build. The center shelf floats on the support slats, and the unit provides abundant storage. 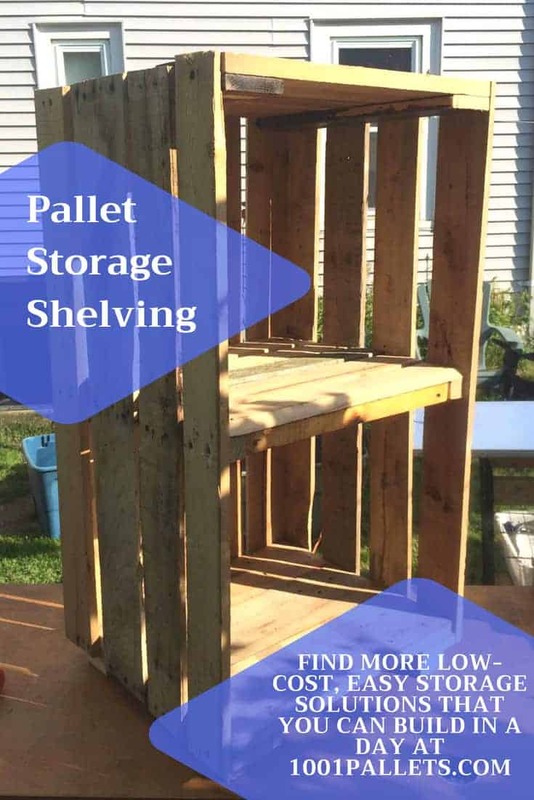 Create a quick and sturdy shelving unit using pallet wood and organize your workshop, craft room, hobby area, gardening shed and more. By the time this was posted I had rebuilt this to closer match the dimensions of the containers. Message me on FB for pics and dimensions of the new cabinet.